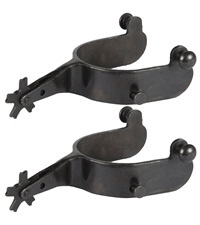 Black Steel Bumper Spurs - Jacks Inc. 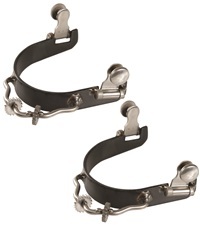 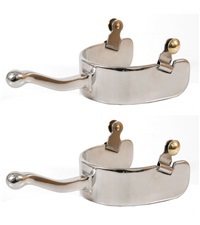 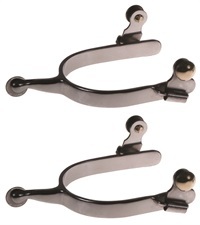 Stainless steel accents, allows heel pressure without the aggressive shank of the traditional spur. 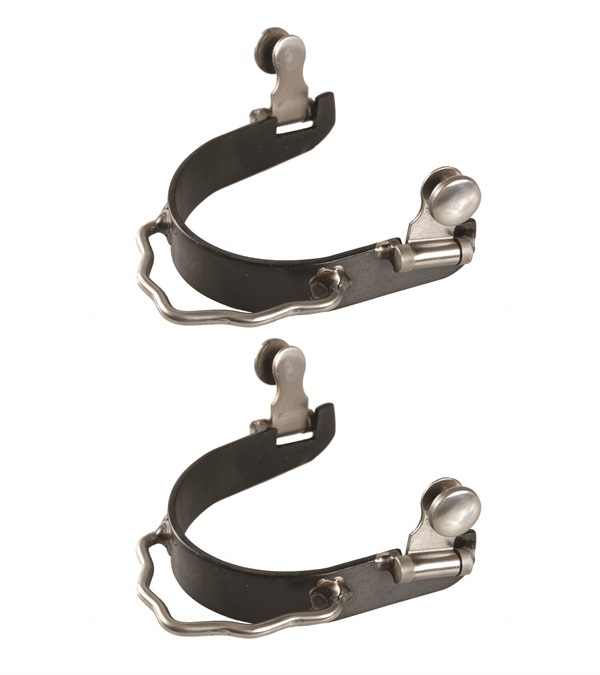 With 3/4" band.